Shred fat, improve strength, and gain lean muscle all in one total body workout. 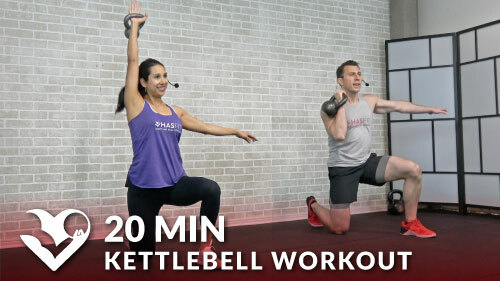 This 30 minute HIIT kettlebell workout is performed tabata style. That means you’ll be doing 4 rounds of each exercise, 20 seconds of work followed by 10 seconds of rest. 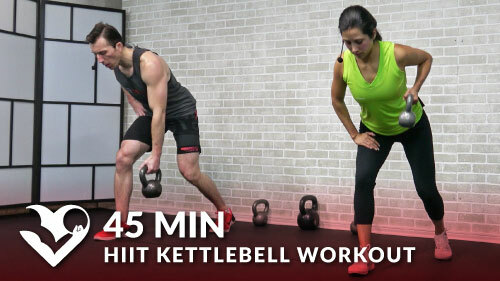 Don’t have a kettlebell? No problem! All of these moves can be performed with a traditional dumbbell. You can do it!